Fucoidan is a substance found in the cell walls of certain seaweed species that is used medicinally for a wide variety of health purposes. You might take fucoidan to help treat high blood pressure, infections or allergies. Consult your doctor before you begin using fucoidan to discuss the correct dosage, as well as the potential side effects, drug interactions and other health risks. Fucoidan is a type of sulfated polysaccharide found in several different species of brown seaweed, including bladderwrack and kelp. Fucoidan contains galactose, glucoronic acid, xylose and several other major constituents that give the substance its potential health benefits, says the Memorial Sloan-Kettering Cancer Center. Fucoidan is also called sulfated alpha-L-fucan. Fucoidan appears to have anti-tumor, anti-cancer and neuroprotective actions, according to the Memorial Sloan-Kettering Cancer Center. Specifically, fucoidan acts to block cancer cells from developing and growing. Fucoidan also seems to provide anti-coagulant and anti-thrombotic effects that improve blood circulation. The substance offers actions that modulate the immune system and antioxidant actions as well. Like kelp, fucoidan is sometimes recommended to help treat hypertension or high blood pressure. Fucoidan may also help treat allergies, bacterial and viral infections, and inflammation, as well as help to stimulate your immune system, according to the Memorial Sloan-Kettering Cancer Center. Similarly, bladderwrack – a type of brown seaweed from which fucoidan is derived – can help to treat wounds and prevent infections, says the University of Michigan Health System. Kelp, another type of brown seaweed containing fucoidan, is sometimes recommended for treating viral infections like herpes, common colds and influenza, notes the University of Pittsburgh Medical Center. Talk with your physician before using fucoidan or any type of brown seaweed for medicinal purposes. Because fucoidan is part of several kinds of brown seaweed, different types of seaweed offer additional medicinal uses due to their other constituents. For example, bladderwrack is also sometimes used to treat hypothyroidism, due to its high iodine content, as well as gastrointestinal disorders like diarrhea, constipation, acid reflux, indigestion and gastritis, says the University of Michigan Health System. Kelp is sometimes recommended to help prevent cancer, support HIV treatments and promote weight loss, notes the University of Pittsburgh Medical Center. No conclusive medical research supports the use of brown seaweed or fucoidan to treat or prevent any health condition, however. Although no major adverse reactions have been reported from using fucoidan, the substance may increase your bleeding risks if you're also taking blood-thinning medications, warns the Memorial Sloan-Kettering Cancer Center. If you take large amounts of certain types of brown seaweed like kelp or bladderwrack, you could develop thyroid problems due to excessive iodine intake. 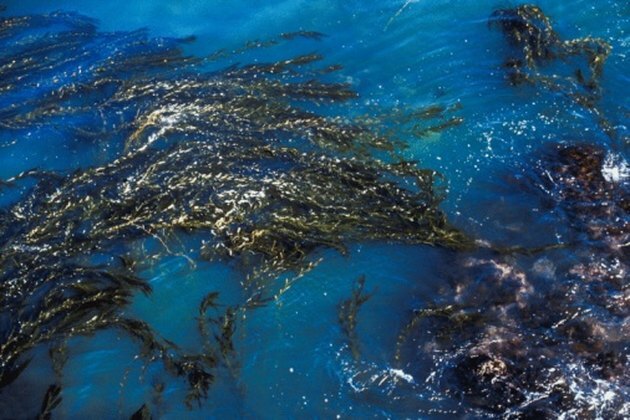 Also, brown seaweed like kelp can contain possibly dangerous levels of toxic substances, like arsenic, that the plant absorbs from a contaminated water environment, potentially causing poisoning when you ingest it in large amounts, cautions the University of Pittsburgh Medical Center.